Creatives are notorious for defying measurement. Sayings like “You can’t rush creativity” and “I’m not a numbers person” make it seem like design is all subjective magic. Well, if your work is subjective, your value is too. Unclear value is the reason design does not always have a seat at the table. It’s the reason design is the least staffed position in product organizations. And I’m betting it’s the reason designers get paid less than their product or engineering counterparts. But how do you prove the value of design? First, you have to define success and how it’s measured. Most companies set goals. But if you don’t truly understand the goals or know how to measure them, then it’s impossible to reach them.Designers cannot be successful when they can’t see the bar for success.No one can be successful without a clear view of what success looks like. As designers, we should thoroughly understand the behaviors that are happening in our products. When we make customer-facing improvements, we need to be able to see what changed for the business. We must align our day-to-day work with broader business goals and we must do so specifically and tangibly. It is our responsibility to inform our decisions with evidence. It is our responsibility to understand and demonstrate our value. If you’re a product or UX designer just getting started with data, here are three important areas of practice that can help you make your work more valuable. Make sure you understand where this goal is being measured and how you can see that you’re affecting it. If that’s not currently possible, work with your team to make it possible. Once you have a clear goal, you need a thorough understanding of what’s happening right now and what’s getting in the way of attaining that goal. Investigate current performance, gathering as much intel as you can. This is where design shines. Ask. all. the. questions. Where are bookings at now? Where are we measuring it? Who’s in charge of measuring it? What’s preventing people from booking? What kinds of errors are happening when people try to book? Who are these people who are booking? How fast are people booking? What makes people more likely to book? The answers to these questions can be found within your organization, in your analytics reporting and in interactions with customers. Talk with your colleagues. Sit in on their meetings. Ask them to show you where they looking at these metrics. Ask them how to pull these reports yourself. Ask them about customer behavior. Ask them for help. Now that you know where and how your goal is being measured, establish a cadence for sharing out progress. This could be a team conversation. It could happen at standup or in planning meetings. Or it could be more passive–a dashboard on the wall, an email, a Slack report.Designers often lean on qualitative research for discovery but leveraging quantitative analytics can help you find patterns more quickly. These progress reports should be a collaboration between product, design, and engineering (and any other key roles on your team–maybe customer success or marketing). Design can share visual references, demos or customer anecdotes to help those outside the team understand what’s working. The secret to business growth lies in truly understanding and serving customers. If you can figure out who your customers are, why they showed interest in your product and what else is missing from their lives, you can capture the market. Easier said than done. We think we know what our customers need and want. If you’ve ever run a usability test, you know that’s not true. We think we know what our customers need and want. We think we know how they behave, how they use our products. If you’ve ever run a usability test, you know that’s not true. Gathering information on how real human beings outside your company see and interact with your product is the first step to improving it. There is absolutely no reason to take on a blind redesign of your product without an understanding of what’s happening now. Designers often lean on qualitative research for discovery but leveraging quantitative analytics can help you find patterns more quicklyIt can help you learn who you should be talking to. You can then follow up with these individual customers and interview them. Platforms like Amplitude provide moment-to-moment timelines of how individual customers are behaving in your product. Review them. Question them. Rebuild your reports to answer your questions. If you don’t have these tools, your data, engineering or customer success teams might be able to help. Enlist the help of your teammates to help you answer your questions. Gather all the information you can about how people are currently using the product. Amplitude’s User Streams feature lets you see how real humans are using your product individually. Read more about how to use it in their documentation. Once you’ve interviewed some people, you can try to rework some of your analytics reports to see if any new information emerges. Maybe those ten people you talked to are unique or maybe they signal a larger pattern. Either way, you’re starting to uncover clues that you can use to inform your design decisions. How to download a list of users who performed an action in Amplitude. More on this in their documentation. By now, you should be onto something. Your team has a focused metric. You’ve identified opportunities and you are designing possibilities. The fog is clearing and a vision is emerging. The bigger the risk of your design proposal, the more you need to build a case for investing in that direction.Before you double down and rip out your onboarding, consider how you will derisk your decisions. Even if the brand new design is seemingly much better, how might you be able to prove that? Are you sure it’s worth spending X number of weeks (or months) building this new design? You’ve come too far into the land of customer understanding to put all your eggs in one basket. It’s critical to have vision but over-investing in unproven ideas is one of the biggest mistakes teams make. It’s up to your team to determine what the level of risk is but you can think of it in terms of cost-benefit. If you’re right, what’s the upside? If you’re wrong, what has been wasted? As you release changes, set up reports that show their impact. Start with your key metric–the one you’re trying to move for the company–and build views around that behavior. For mobile apps, you can also send version numbers to your analytics tools so you can compare versions. On web, you would look at week-over-week or month-over-month to see how things are changing. Ideally, your team is releasing often so you can learn more specifically what’s working and what’s not. Make sure it’s clear who on your team monitors the outcome of a release. Even if this is not you, you should be aware of where to find these reports as you’ll need that information to inform your next decisions. 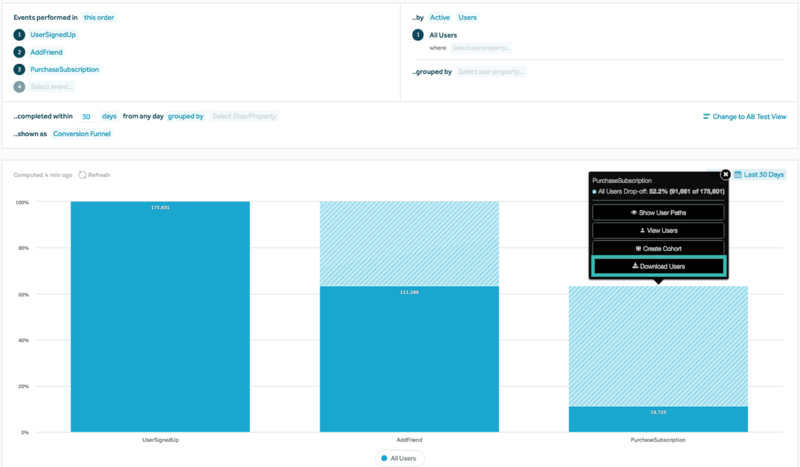 An event segmentation view in Amplitude showing how each release of the app is performing. Read up on how to do event segmentation. With each release (or experiment), you learn about customer behavior and your impact on the business. Reflect on these releases with your team. Did you see what you expected to see? Did you move your key metric? Document what you learned, what new questions you have and what you’re planning to do next. Share this information in your team’s progress reports. 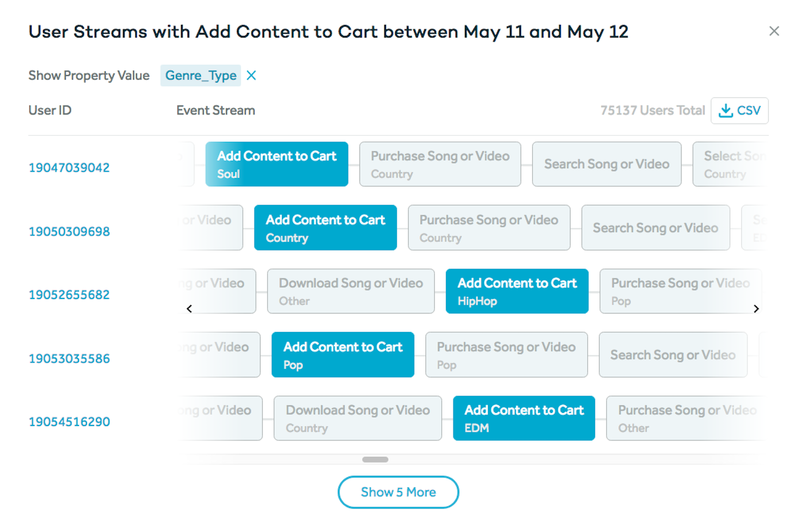 You can even create a timeline of releases so the story of where you are heading and why is easy to follow. This can be a helpful artifact for having conversations with executive leaders as well as onboarding new teammates. Our jobs depend on our ability to convince leaders we are valuable. Without any tangible proof, we rely on someone else’s understanding of how design improves a business. Luckily for us, there are so many tools for proving the value of design. It’s up to us to take full advantage of them. Designers who want to own their success and control their destiny should equip themselves with a rich knowledge of data. Designers who want to own their success and control their destiny should equip themselves with a rich knowledge of data. You do not have to do it alone. Read the documentation for your analytics tools. Talk with your colleagues and ask for a walk through of how they look at data. Create one report and show it to a teammate to see if they see what you see. Use data as both an input into design and a demonstration of the outcome of better design. Use data to understand the human stories behind your product. Use it to elevate the role of design in business. Use it to tell your own success story. Your seat at the table is waiting. Lex Roman is an independent Growth Designer based in Los Angeles. She drives business growth through customer understanding and strategic design. Previously, she led growth design and product analytics at Burner and practiced early stage validation and conversion strategy at Carbon Five. Past clients include Nissan, Prosper, Joyable, Macys.com, Toyota and some startups you’ve never heard of because they didn’t make it. When data scientists look to others for improving their skills, they can get a better understanding of the company that exists around the data. How we set product performance metrics at Amplitude, and why you should start doing it too.